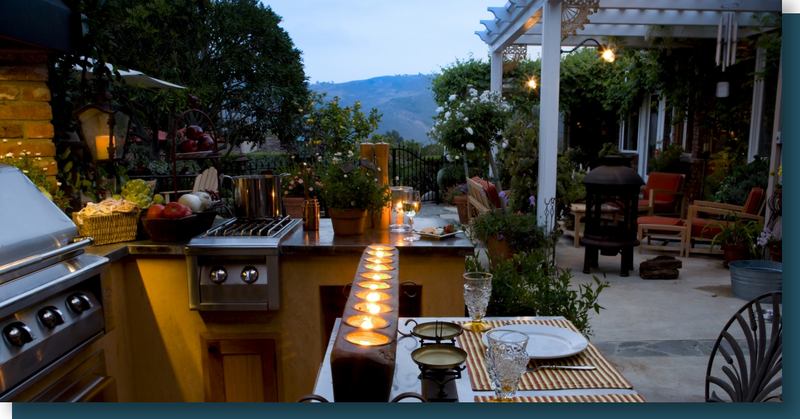 Residential Landscaping Jacksonville: 4 Reasons You Need An Outdoor Kitchen! The answer may vary depending on how long you’ve been in the home, and how it was that you acquired it. People who are living in a new home, or who had a hand in designing it from the ground up, tend to have lots of answers to this question, while those who’ve been in their home for a long time without making any improvements, have more complaints. When the time comes for home improvements, whether to the interior or exterior, you’ve got a lot of options. While your first thought might be “Let’s redo the bathrooms!” or “Now I can finally have the walk-in closet of my dreams!” the team here at C & L would like to encourage you to consider improvements to your residential landscaping as well. You may not be aware of the fact that, in addition to handling residential landscaping tasks like mowing and aeration, C&L is also a certified building contractor in Jacksonville, Florida. That means we can help with projects that span both of these categories, like adding an outdoor kitchen to your property. Contact C&L In Jacksonville For All Your Landscaping Design Needs! Our experienced landscapers will be more than happy to provide you with a FREE consultation so that you can realize your dream of owning an outdoor kitchen. Call now! 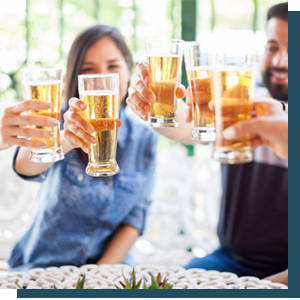 Entertainment – If you love to have people over for dinner or drinks, but always feel like everyone ends up crammed into the kitchen, an outdoor eating and cooking space may be perfect for your lifestyle. Instead of standing around, leaning against the kitchen island while you try to cook, your guests could be lounging in your backyard, with a view of the sunset, while you whip up a delicious meal nearby! 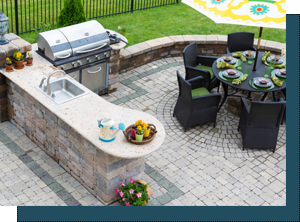 Increases Property Value – An outdoor kitchen is a huge selling point for homes in the Jacksonville area, so when you work with C & L Landscape to create one, you’re setting yourself up for a tidy return on investment. This benefit can be increased even more depending on the design and appliances you choose. The residential landscaping experts on our team can help! Reduces Utility Bills – Florida is warm, very warm, for most of the year. This means that in order to stay comfortable, especially when using the stove or oven, most residents have to keep their air conditioners cranking all day and night. When you’re able to cook and enjoy your meals outside, it has no effect on the temperature inside your home, saving you some money on energy consumption. Keeps Your Home Fresh – Cooking seafood or other cuisines indoors can be a smelly affair, and unfortunately, these odors can linger in carpeting, furniture upholstery, and even drapes for many days. Preparing food in an outdoor kitchen ensures that no one will ever know that you overcooked the burgers because you were watching the end of the Jaguars game on your phone.